"We combine our unique and highly secret formulation of the finest Rose Oils with skin-softening botanicals and floral waters, creating our most indulgent collection," says Aromatherapy Associates of its 'Renewing' line. 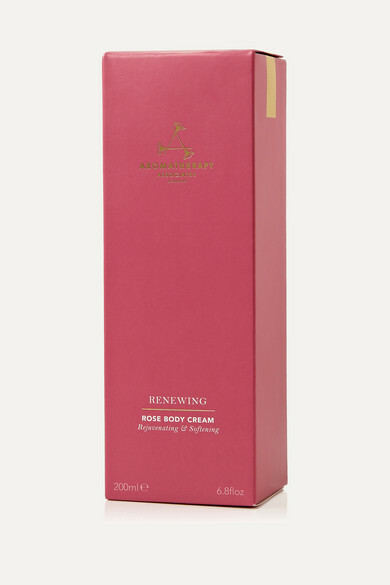 This deeply moisturizing and conditioning body cream is infused with Geranium, Shea Butter, Evening Primrose and sweet-smelling Rose to eliminate dryness and soothe irritation. Essential fatty acids encourage rejuvenation at a cellular level, too.